Photo doesn't begin to do this shirt justice. The black satin background has an upraised velvet brocade as well as a vertical silver metallic running all through it. Real sequins are sprinkled all over it. 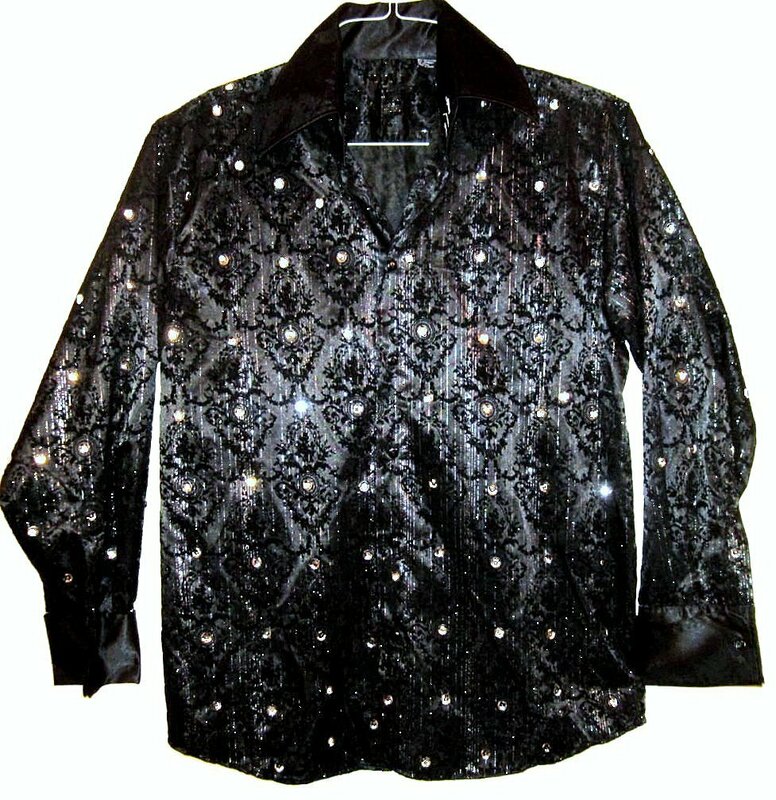 It has sequins on the collar too (not shown). The real silver cupped sequins provide a sparkle or flash with every movement. The shirt is machine washable on gentle INSIDE OUT. CANNOT DRY CLEAN. May hand wash and hang dry. It is 49" around at the armpit level for a comfortable 44" chest fit. The approximate sleeve length is 32 inches, maybe longer. It has French cuffs. This shirt took 5 days to make.